It's juicy, it's tender, it's huge and it's messy, but we don't care how big we have to open our mouth or if food is stuck to our chin. 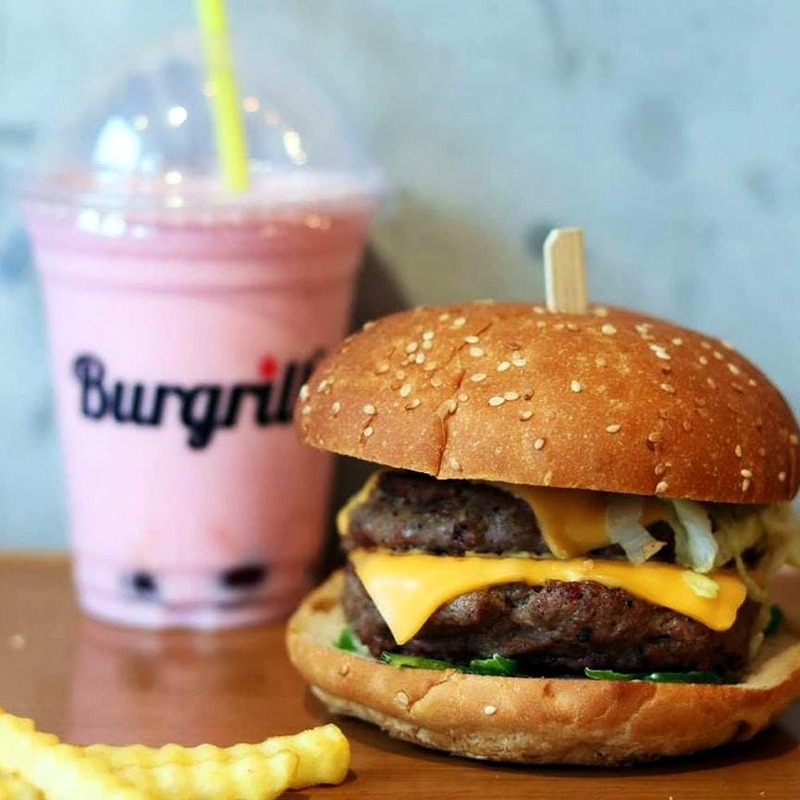 Burgrill's burgers are the next new and good thing in town, and we're going to chomp town without apologies. Hit up Giggles in Park Street and you'll notice the striking change. In place of the old Giggles, Burgrill has opened doors and the gift shop has moved upstairs. Nothing swanky, but definitely comfortable, it's just the place you need to hit up with the gang for a hang. Order their quarter pounder if you're a small or dainty eater, but if you've got the foodie's bite then demi pounder is a must try. No dry crusty bun or rubbery patty to chow down, Burgrill is known for their healthy grilled patty and buns. The sauce is low fat, too. Need more reason to make a staple of this? For something more filling try the brown rice bowls. Have heard people rave about sloppy Joes, but never had one? Try their Messy burger that comes packed with two patty, oodles of cheese and eggs to smear your face and hands. It's so messy that they give you gloves to eat it (beat that!). Top it with the greasy fries and you'll have a meal of the beast! Fishaholics alert! They have a bhetki fish burger on offer too. Health nerds, don't be afraid to hit here because there's whey infused shakes and tasty quinoa salads to binge on. And for your cheat days, they have delicious nachos, wings and strips to gorge on. All things considered, what we loved best though is the joint's late night service. The shop (unlike most others) remains open till 1 am. Good thing, they plan on stretching it further till 3 am, very soon! Home delivery is still unavailable. But the fun is definitely on the high when you hit up here with your buds. The burgers start at a basic INR 120. Fries are priced at INR 130, and rice bowls start at INR 200.